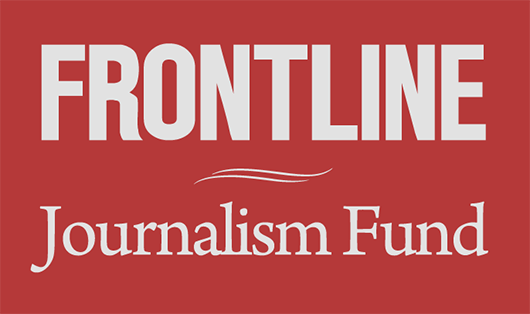 Tonight, many PBS stations will rebroadcast Syria Behind the Lines, FRONTLINE’s unprecedented film that documents the everyday reality for both Syria’s rebels and its regime. Check your local listings here, or watch it online. When FRONTLINE first visited Syria in November 2011, the opposition movement was still in its infancy, and the government crackdown was only beginning. When our cameras returned 10 months later, the uprising had grown into a nationwide insurgency. By the time of our most recent film, Syria Behind the Lines — which premiered in April and re-airs tonight — the insurgency had become a civil war. The fighting has since become even more perilous. Hezbollah has joined forces with the regime, adding a dangerous new element to a conflict that has reached “new levels of brutality” on both sides, according to a report released last week by the United Nations. 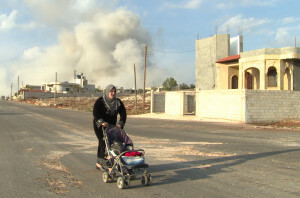 Ahead of tonight’s rebroadcast of Syria Behind the Lines , we asked Ramita Navai, who was the correspondent on 2011’s Syria Undercover to assess what’s changed in the country since she left, and what may be in store for the future. After only a few days of covering the uprising in Syria in September 2011, just as the violence was taking a bloodier turn, it was clear that this was not going to be the quick revolution the activists were predicting. This was going to be a long and bloody civil war that would rip into the very heart of the Middle East. But on every other point the activists turned out to be right. There were many, many more killings and disappearances than was being reported. Women were being systematically raped but were too ashamed to speak out. Iranians were sending soldiers into the country, and several Hezbollah tanks had been seen entering Syria from Lebanon. 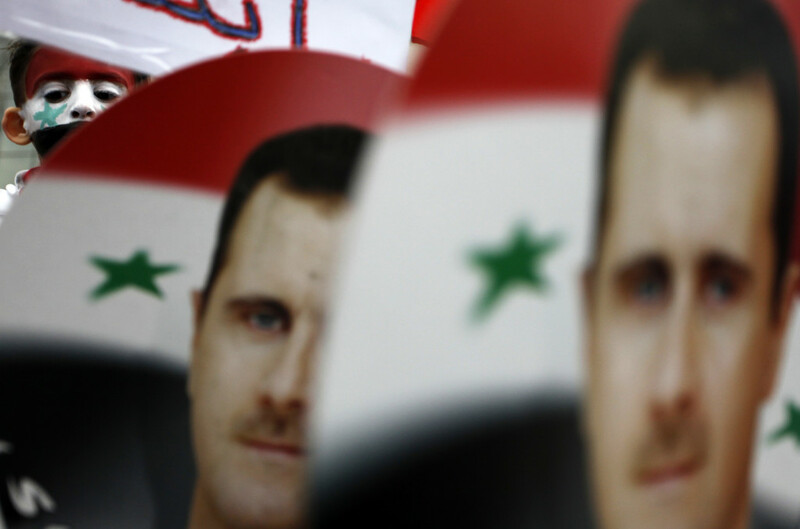 Time has been on President Bashar al-Assad’s side; so has much of the international community – its endless dithering has cost thousands of lives. As leaders and politicians attend countless conferences and summits and reach no resolution over biscuits and tea, they have unwittingly — or maybe wittingly — allowed violence to have free rein. Which means that when Assad plays the victim, pandering to the West’s fear of terrorists by claiming he is fighting crazed jihadis, there is some truth to it. In the early days the situation was not so gray, it was pretty black and white from where my director, Wael Dabbous, and I saw it. Unarmed protesters and dissidents were being tortured and murdered. That has changed, much to Assad’s delight. Many of the men who helped us are now dead. Good men, peaceful men who believed they were standing up for what was right. Most of the ones who are still alive are now armed. Farmers, dentists, doctors, businessmen — ordinary family men who had never held guns in their lives. The growing vacuum of security and power in parts of the country has made way for extremists and criminal opportunists as real “terrorists” have flooded the country. As the world wrung its hands wondering what to do, Assad’s assertions became a self-fulfilling prophecy. The war has already had an impact. Even if the conflict ends, Sunnis and Shias will be more divided than ever before — and not just within Syria. Iran is terrified of losing its closest ally, and will not allow Sunnis to gain control of Syria. With the ability to stir conflict in Iraq and Afghanistan, any international negotiating without Iranian involvement would be folly. The conflict has also stirred up the question of the Golan Heights, the strategically important slither of rocky land between Syria and Israel that has been under Israeli occupation for 40 years — and which Israel will not give up without a fight. The Syrian civil war also presents an opportunity for Kurds to assert their own independence. Syria and the Middle East as we know it will never be the same again.